Over the years, a wide range of historic objects have been created by the Wareham Forge. The objects shown in this gallery of past work mark a number of differing time periods, and include both forge work and sheet forming techniques. 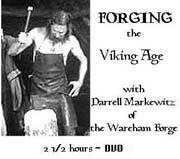 The Wareham Forge primarily produces custom ordered replicas of a range of objects from the Viking Age from the Viking Age. The Wareham Forge produces layered steel blades using both the 'Damascus' (flat stack) and 'Pattern Weld' (twisted cores) methods. Primarily undertaken as custom commissions, past work has included a wide range of styles and sizes - from replica Norse carving knives through to fantasy great swords. Replicas of specific small artifacts. Forged steel broaches, cast bronze and pewter pendants, pins and strap ends. All made by the Wareham Forge, many using 1000 year old production methods! Replica solid sterling silver coins, struck by hand using coin dies reproducing those found in York, England circa 950 AD! The page also provides some information on coins and coinage during the Viking Age. The most popular game of the Viking Age was hnefatafl. It is a game with simple rules, but when it is combined with cunning minds, can become a battle of strategy! A modern version of the Norse game from the Wareham Forge. A commentary describing the process of researching and designing Viking Game. How were the rules developed? Details how individual source artifacts served as the starting point to develop the graphic design for this modern version of an ancient game. 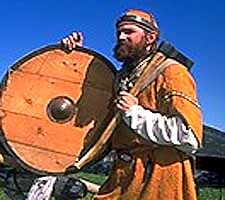 This 2 1/2 hour program documents the creation of a number of the forged metal objects created for the 1997 'Viking Encampment' Program at L'Anse aux Meadows NHSC for Parks Canada. It contains commentary on objects from the Viking Age, details on how the pieces were produced and forging sequences. This disk contains over 400 large format images, each with notes. The publication also contains many commentaries on the individual museums and also travel around Denmark in general. 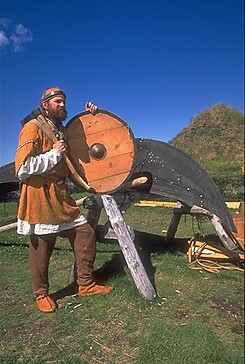 The overall stress is on materials related to the Viking Age. 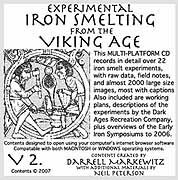 This disk is a collection of materials related to an ongoing experiments by the Dark Ages Re-creation Company concerned with Iron in the Viking Age. 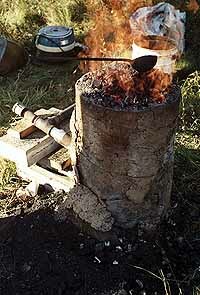 There are also a series of illustrated articles outlining the work and equipment of the Norse Blacksmith, plus others related metalworking and smelting. The collection contains over 2000 images, working drawings and plans. Articles, Comments & Rants Links Just say Hello!